SNIA (Storage Networking Industry Association) Common RAID Disk Data Format Specification Revision 01.00.00 Compatible RAID 0, RAID 5, RAID 5E and RAID 5EE. Original physical segment hard drive. 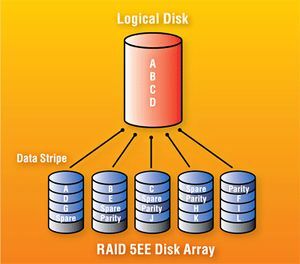 Automatic analysis and reconstruction of: RAID Disk Array, starting position of the data, stripe size and stripe order: Left Asynchronous, Left Synchronization, Right Asynchronous and Right Synchronization. Similar to WINHEX, but with a easy, quick and smart operation; users can have DirectView® to the data through DCEXP utility, so to verify the manually set parameters quickly and easily. * Data recovery from HDDs with severe multiple BAD sectors, which appear because of platter surface scratch or malfunction or instability of the magnetic head assembly (MHA). * Data recovery from HDDs that start to produce “clicking” sounds, which may be caused by corruption of sector servo labels or a MHA malfunction. If some heads or surfaces are damaged it is possible (before installation of MHA replacement) to create a copy of data using the remaining good surfaces or drive heads. * Data recovery from drives (especially Seagate Barracuda 7200.7 and 7200.11 HDD) with cache problem, which manifests itself as the following: Hard drive can be detected normally, but any attempt to access the data area returned with error. * Availability of tools for logical analysis of FAT and NTFS file systems in the software complex allows data recovery in cases, when a drive is functional and only logical data structure is corrupted. * When used with malfunctioning drives, Data Compass complex often allows selective extraction of data necessary to your customers without reading all data from a drive (“recover data by file” without creating a complete disk image) saving a lot of time. In some cases, when drive malfunctions cause constant self-damage (like scratches on disks or instable MHA) these are the only means to accomplish this task. 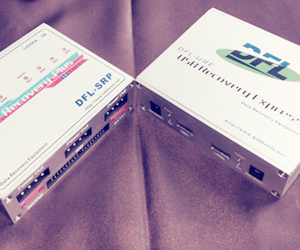 With the ShadowDisk technology adopted, users need not to worry about the drive degradation problem. 3)with hardware array card or server system damaged. If you are interested in more details like the datasheet and price of Data Compass Premium and coupon of purchasing SalvationDATA tools, send an email to info@datarecoverytools.co.uk and you will get it.